As a family law attorney, no one need tell you that your high-asset divorce cases can present numerous complicated issues. This is when you likely are most glad that you earned your CFL Designation for Divorce Practitioners. The advanced knowledge and skills it gives you assure both you and your clients that you can competently handle whatever complex issues their marital situation may present. 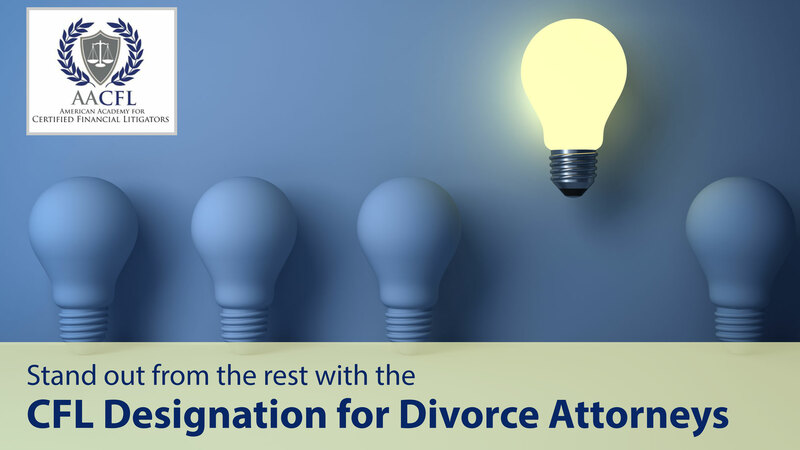 The Nebraska Supreme Court recently heard an exceptionally complicated divorce case after both the husband and the wife appealed not only various orders issued by a district court, but also various Court of Appeals holdings. The ultimate 2018 Supreme Court opinion in Becher v Becher was actually a consolidation of both appeals. Sonia Becher filed for divorce from her husband, Mark A Becher, in 2013 after a 21-year marriage during which they had accumulated a “vast marital estate.” About the only thing they could agree on was to have their numerous issues tried before a court-appointed referee. After a 14-day trial, the referee submitted his report. The district court subsequently issued its final divorce decree in 2015, adopting some, but not all, of the referee’s factual findings and recommendations. The court issued its own findings and conclusions on those issues, as well as on additional ones. The Appellate Court held that Mark had waived several of his alleged errors pursuant to the acceptance of benefits doctrine. It also reversed the district court’s dissolution orders, stating that the court had failed to make specific findings when it modified the referee’s report. Not surprisingly, given the numerous complex issues involved in this case, the Nebraska Supreme Court affirmed in part and reverses and remand in part. It noted that, under Nebraska law, a special master’s recommended factual findings have the effect of a special verdict. Consequently, his report, like a jury verdict when it comes to questions of fact, will not be set aside unless clearly against the weight of the evidence. In this case, the Supreme Court held that the Court of Appeals clearly abused its discretion by holding that the district court should have stated specific findings in order to set aside or modify the referee’s report. During the Bechers’ marriage, Sonia’s father had given her monetary gifts during the marriage totaling over $1.7 million. She used part of these gifts to buy a building and part to pay off the mortgage on the couple’s marital home. She placed another part into a certificate of deposit in Mark’s name only. He dissipated these funds during the couple’s period of pre-divorce separation. Noting that a marital estate does not include property acquired by one of the parties through gift or inheritance and that there is no exception where an otherwise nonmarital monetary gift is spent on a family expense, the Court reversed and remanded back to the district court with instructions to declare the entire $1.7 million as Sonia’s separate property. 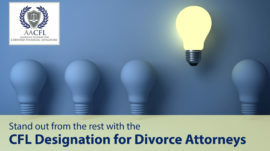 Next addressing the issue of the acceptance of benefits doctrine, the Court held that a spouse who accepts the benefits of a divorce judgment does not waive the right to appellate review where his or her right to those benefits is conceded by the other spouse, as Sonia did in this situation.